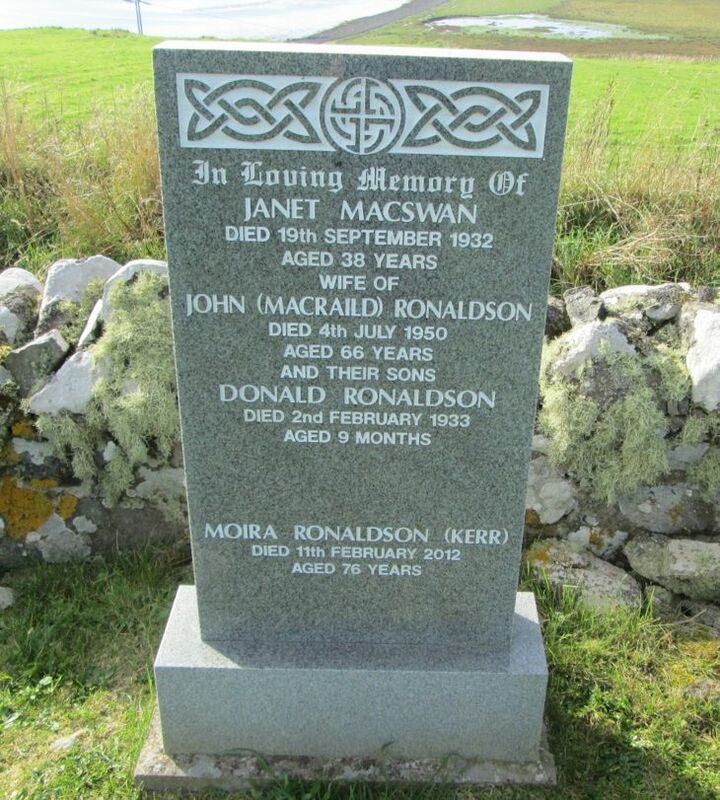 Skye Gravestones | Janet ( Macswan) & John Ronaldson. Moira Kerr. Janet ( Macswan) & John Ronaldson. Moira Kerr. In loving memory of/JANET MACSWAN/died 19th September 1932/aged 38 years/wife of/JOHN (MACRAILD) RONALDSON/died 4th July 1950/aged 66 years/and their sons/DONALD RONALDSON/died 2nd February 1933/aged 9 months/MOIRA RONALDSON (KERR)/died 11th February 2012/aged 76 years.